Last year was my first year at this conference. I tend to be a bit withdrawn when I step into a new environment, but I was blown away by what I experienced. Everyone I met was kind, gracious, encouraging, and fun! The strong presence of God was tangible, and I was thrilled to be in a spirit-filled environment. I received great feedback, needed constructive criticism, and invitations to submit book proposals. I also met some wonderful new friends. While I have been to other conferences, this one felt like family,. Marlene Bagnull’s conferences are a unique combination of worship, inspiration, professional development, networking opportunities, fellowship with other writers, editors, agents, and publishers, and great conversations. You won’t get a lot of sleep, but then, you won’t want to. You will have too much to learn, too many people to connect with, and too many ways to hear God’s voice to give in to too much sleep. Find a way to take in her conferences. They will change your writing for the better, and they will prod you to take the Eternal Word more seriously and follow him more resolutely. See what faculty member, Catherine Lawton, says about the conference on her blog – https://cladach.wordpress.com/2015/03/18/30113/. I have come to a half dozen CCWC conferences over the years and I've watched my writing opportunities grow in ways I never imagined. But more importantly, I've seen my writing deepen. I used to be concerned about market and platform with little regard to the craft. Your approach, encouraging us to be strong followers of Christ first, is a message that can't be spoken enough. I appreciate that, but as my trust in Christ grew, so did my hunger for the mystery of God. Out of that mystery my writing deepened and I found the opportunities expanded. Thanks to CCWC and God, I've been able to write for Christianity Today and Lifeway publications. Last year I published my first full-length book (Growth in Leadership) and will have another (Disconnected: How to Bridge the Gap in Every Relationship) in a few months. I am on staff as a writer for The High Calling (www.thehighcalling.org) where I get to encourage and publish other writers. So, thank you for what you do. I know the next few months are crazy and I just want to say that I appreciate you. For several years I have had the privilege of joining the faculty of both the Colorado Christian Writers Conference and the Greater Philadelphia Christian Writers Conference. As faculty, I attend writers conferences anticipating how I will be used to encourage and assist writers along their journey. I love teaching workshops and being able to share one on one during our 15 minute appointments. It is such a joy! At the Write His Answer conferences I have come to realize that God uses these conferences as an intense time of spiritual growth for me too. As I sit in general sessions and am cared for by Marlene and her fantastic team, I am challenged, convicted, encouraged and changed. Personally and professionally, I have experienced profound moments at both conferences, forever impacting me, SuzyQ, and my ability to help others. in her blog, reprinted below with her permission. My dear friend, Marlene Bagnull, takes this verse as the theme of her writing life. Along the way, she’s published several books and hundreds of articles and devotions. She’s served her family, which includes a husband, three grown children, and three active grandchildren. And through the years, she’s grown her roots deep in God. This devotion to her Father, I’m convinced, is what sets Marlene’s two conferences—one in the heart of the rugged Rocky Mountains, the other cradled in the countryside near Philadelphia—apart. Yes, you can find authors, editors, and agents (more than 70 on each faculty) at both events. Yes, you’ll receive top-notch instruction in almost any area of writing. And yes, you’ll connect with writers of many genres, various experiences, and great expertise. But God’s Spirit pervades these events in a way I can only trace back to Marlene’s unique walk with God. Who else but a surrendered servant would break into prayer as she makes conference announcements? Who else would choose faculty not on the basis of renown but of ministry capacity? And who else would focus each conference on an issue she believes writers need to address? You see, Marlene’s conferences go beyond helping writers achieve publication. 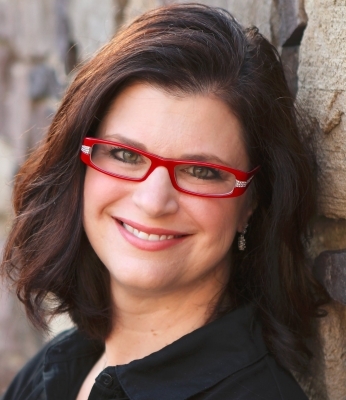 She uses these events to equip writers to use their words to change the world. Keynote speakers address issues that matter and suggest ways writers' messages can connect. I’ve served on several conference faculties, but I’ve never had my call to write renewed and reaffirmed in the ways I have at the Greater Philadelphia Christian Writers Conference (GPCWC) and, in a few more weeks, as I will during my first visit to the Colorado Christian Writers Conference (CCWC). I’ve wept. I’ve prayed. I’ve been reminded to listen to His voice about what and how I write. Do you have an interest in writing? Do you believe God wants to use your words to make an impact? Check out either or both of these conferences. Scholarships are available and registration deadlines loom. Does God have an appointment for you at the CCWC or GPWC this year? 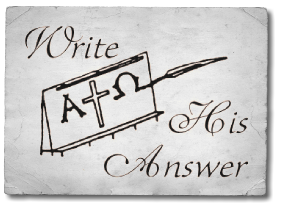 Don’t miss His invitation to write His answer.